I'm a big fan of Scott Westerfeld's Uglies quartet (Uglies, Pretties, Specials and Extras). He's created a vivid future world which raises thought-provoking, timely and relevant issues. So I was excited at the release, after more than ten years, of a fifth book set in the Uglies universe -- and to know that another three books will also be released (one each year for the next three years). You don't have to have read the earlier books to enjoy the new ones. The new story, Imposters, is set some years after the end of Extras, and is narrated by Frey. Frey is sixteen years old and an identical twin. However, there are few people who even know of her existence. She has spent a lot of time hidden in a maze of corridors and secret rooms in her father's heavily guarded tower. As the younger twin, Frey must act as a double for her sister, Rafi, and has been trained to protect her -- whatever the cost. She is sent from Shreve, their home city, to the neighbouring city of Victoria to stay with the rival city's first family. Frey is an imposter, posing as Rafi, so their father can make a deal for more of the metal he wants. Through her, we learn that he is a distant, unpredictable, ruthlessly determined man. It's not until Frey is on her own and at the mercy of Aribella Palafox and her son Col, that she understands there is a lot more to her father's plans than she first realised. Could this, perhaps, turn out to be the opportunity she didn't realise she had been waiting for? In this world, where spy dust is a normal part of life in Shreve (keeping watch on what its citizens say and do), there are also hoverboards and sneak suits, volcano rabbits and jump mines. The dedication at the front of the book is to 'Everyone fighting for the right to exist'. And in Imposters, there are themes of identity, freedom, politics and power (amongst others). There's a lot to ponder and discuss. 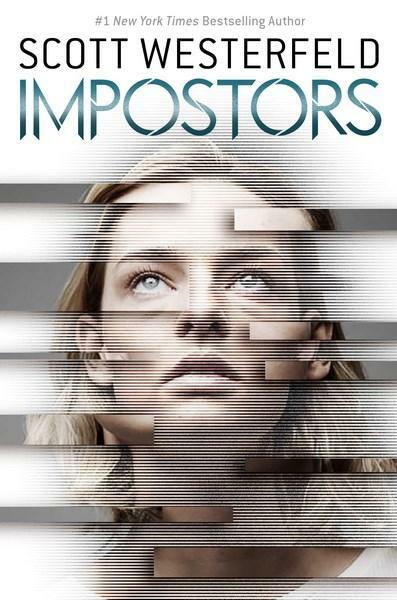 Action-packed, starting with a rather shocking opening scene, and ending with a mighty twist and cliffhanger, Imposters is riveting reading and I'm eager for the next title in the series. Note: downloadable teachers' notes are available from the publisher's website.